SPAIN AND ANARCHISM IN CUBA by Carlos M. Estafanía, a Cuban dissident resident in Sweden and editor of the Nuestra web magazine. In Cuba libertarians have fought against every sort of despotism and Batista’s was no exception. Hundreds of Cuban anarchists endured persecution, torture, death and exile for their part in protest campaigns (including armed campaigns) targeting the dictatorship. Among the anti-Batista fighters there were many anarchists such as Boris Santa Coloma (killed in the attack on the Moncada barracks), Miguel Rivas (disappeared), Aquiles Iglesias and Barbeito Álvarez (banished) as well as Isidro Moscú, Roberto Bretau, Manuel Gerona, Rafael Cerra, Modesto Barbieta, Maria Pinar González, Dr Pablo Madan, Plácido Méndez, Eulogio Reloba (and his sons), Abelardo Iglesias and Mario García (plus their eldest sons). These were all jailed and sometimes tortured nearly to death as was the case with Isidro Moscú. Anarchists would have a presence in all of the guerrilla campaigns. Gilberto Liman and Luis Linsuain were involved with the guerrillas in Oriente. One of the leading lights of the Escambray guerrillas was Plácido Méndez. And the urban struggle found the premises of the Havana Libertarian Association being used for underground meetings of both the 26 July Movement and the Revolutionary Directory. In the early 1960s the Argentinean libertarian magazine Reconstruir carried a series of very revealing articles on the Cuban revolution. Those texts represent primary sources for a libertarian analysis of the politico-social process that led to the overthrow of Batista and an insight into the essence of the newly established regime. The articles by Justo Muriel, Gaston Leval, Augustin Souchy and especially Abelardo Iglesias (a Spanish civil war veteran evolutionary victory are his assessment of the trade union gains made by Cuban workers (of which they were about to be deprived by their “Revolution”) and his reading of Fidel’s spectacular “March on Havana”. Iglesias saw this as a sham copied from Mussolini’s March on Rome. According to Iglesias, the expensive spectacle was, militarily, a nonsense as the Cuban people had already rid itself of Batista. It was merely an ostentatious celebration of the power of the new caudillo. articles remain valid, especially Iglesias’s analysis of the modus operandi of the new ruling oligarchy, its propaganda techniques and its methods of coercion and mass mobilisation. Unfortunately, there is a pig-headed “Cubanology” ensconced in certain European and Latin American universities that ignores articles like the ones in Reconstruir or others that detail the Stalinist denaturing that the Cuban revolution has undergone. This was a process that started long before the confrontation (actively sought by Fidel Castro) with the United States. The Soviets discovered in time that Fidel Castro was a person sufficiently adroit politically to claim the credit for the success of the revolution — a success that actually belonged to the spectrum of social forces which had confronted Batista. The bourgeois-rancher image of the young Castro ensured that Cubans never suspected what Fidel himself was to declare in 1961, that he had been a convinced (albeit unripe) marxist ever since the start of the armed struggle. All his actions and political statements from that time were designed to create confusion about his real ideological beliefs. Some credited him with fascist leanings, others with anarchist ones. Many fell into the trap of taking Castro for a libertarian, including the propaganda chief of the Partido Socialista Popular (the Cuban Stalinist party) Luis Mas Martin who tried to use Raúl to bring influence to bear on Fidel. As late as 1959 Luis Mas Martin expressed the view that Fidel was an anarchist whose hatred of the United States would force him into the arms of the (Communist) Party, especially if the Americans “Carried on acting so silly”. The likelihood is that Soviet strategists preferred to keep intelligence on their plans for Cuba compartmentalised between the new right hand (the KGB) and the Stalinist old left in place in the island since the 1920s. Which would explain why Mas Martin and other PSP leaders were ignorant of Soviet plans for the Cuban revolution. The first revolutionary government looked liberal. President Manuel Urrutia, appointed by Fidel Castro, had, as a magistrate, defended Fidel Castro’s right to rebel against the Batista dictatorship, but had at the same time declared his own opposition to Soviet imperialism, a line that he shared with many other militants of the 26 July Movement and other revolutionary organisations. They believed in Fidel all right but had no faith in Raúl Castro or in Ernesto Che Guevara, both self-confessed Soviet supporters. It very soon became plain that the new provisional government had no real power. Within months President Urrutia was forced into resigning as a result of an intrigue that he himself dubbed the “17 July coup d’etat”. ”In fact what happened was that Camilo was killed by Fidel, no less, in the Presidential Palace at roughly 9.30 on the night of 27 October, the date of the rally calling for Huber Matos to be shot. Pepita Riera was in the Presidential Palace during the rally at which the masses were whipped up into demanding that Huber Matos be shot. Fidel, Raúl and Almeida addressed the crowds. Camilo refused to speak that night. Later he upbraided Raúl and told him that it was disgraceful to incite the masses to demand the shooting of Commandante Matos who had in fact done nothing wrong. An angry Raúl retorted in insulting language and Camilo, losing control, told him that if he carried on like that he was going to kill him right there. There was another witness whose name cannot be revealed just yet but who was present at the sequel to this argument. According to him, the voices grew louder until all of a sudden a shot rang out followed by another shot. This witness then hears Raúl cry out: ‘You’ve killed him! This happened in one of the rooms in the Presidential Palace where they were meeting. As an officer of the Rebel Air Force and an experienced pilot, Captain Cárdenas detected a series of inconsistencies in the search for Camilo and organised a parallel search. Which is how he stumbled upon Camilo’s plane on a farm known as “La Larga” located 25 miles southeast of Camagüey. There was a light aircraft there hidden under some silage and with its marking blanked out. 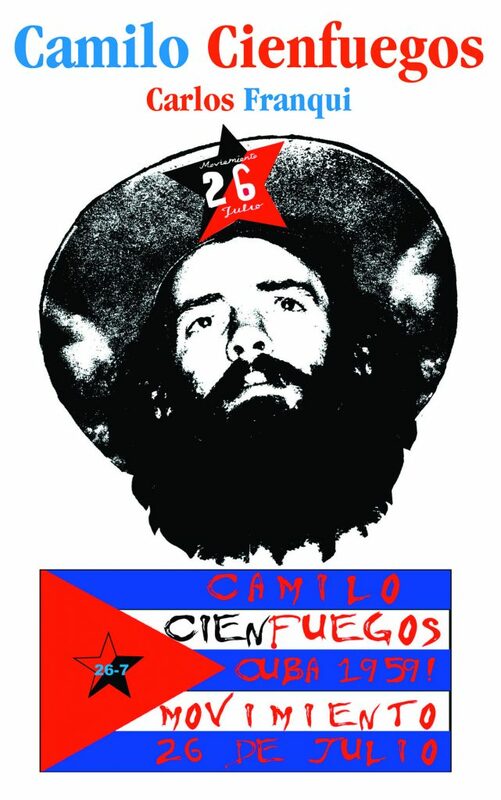 Camilo had been a figure whose charisma and ambiguous ideology, together with the red-and-black colours of the armlets worn by 26 July Movement members helped feed the worldwide confusion as to the libertarian roots of the Cuban revolution. The writer had the opportunity to deal with this point back in 1998 at an event run by Swedish anarcho-syndicalists along with the Neapolitan anarchist Egno Carbone who quoted an article carried in the Italian anarchist newspaper Umanita Nova invoking Camilo Cienfuegos out as the libertarian face of the revolution and referring to the possibility of Fidel’s having had him killed. 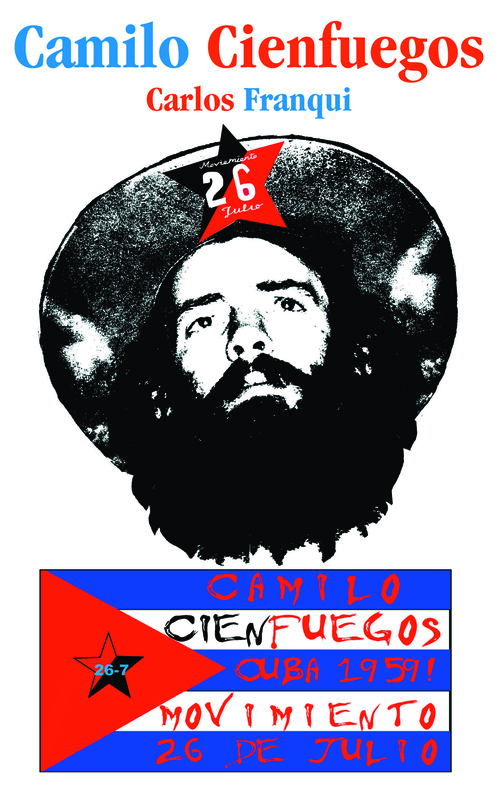 According to our colleague Frank Fernández, the painstaking historian of Cuban anarchism, there is no evidence that Camilo Cienfuegos subscribed to anarchism although it is known that his father was active in the libertarian ranks in his younger days. Moreover, we know that Camilo’s brother, Osmani, was a PSP member prior to the revolution and, up until very recently, one of the most important leaders of the Cuban regime. From what Roberto Cárdenas has said it seems as if Camilo, unlike his brother, may have been an obstacle to sovietisation of Cuba. Captain Cárdenas alleges that as early as 1958 some rebel officers had detected “communistic leanings” in Fidel Castro. One night in September 1958 there was a get-together on Cárdenas’s farm, attended by Camilo. It was agreed there that at the first sign of communism from Fidel those present would do all in their power to remove him. Unfortunately, events proceeded with such dizzying speed that the revolution’s anti-Stalinist forces were unable to counter the long prepared infiltration by pro-soviet personnel. The political, economic, ideological and above all repressive apparatuses of the state were quickly taken over by communist cadres. Anybody troubling to pay a visit to the museum of the Interior Ministry at the junction of Fifth and Fourteenth Avenues in Miramar, Havana — as the writer did in the spring of 1993 — will discover from the biographical details under the portraits of the earliest “martyrs” of G-2 that the bulk of the members of the “Security” service belonged to the PSP. In comparison with other organisations, the PSP had scarcely any profile in the underground struggle against Batista. So the trust placed in its cadres when it came to cracking down on all sorts of groups (many of them with revolutionary antecedents) opposed to the Castro government seems unwarranted. Not that this was anything new. Cuban anarchists who had fought in the Spanish civil war found that the Communists’ modus operandi there was being reenacted in Cuba, albeit on a larger scale. During the civil war in Spain the Stalinists, under cover of the fight against fascism as well as under cover of the economic support and the intelligence back-up offered them by the USSR acquired sufficient power to dispose of many antifascists by underhanded methods. The decision to assist the Spanish Republic was taken by Stalin on 31 August 1936 during a Politburo meeting in Moscow. After that the Comintern and its various agents and secret espionage organisations made ready for greater military commitment. 14 September saw the holding of a crucial meeting in the barracks in the notorious Lubyanka, seemingly attended by the chief of the NKVD secret police, Yagoda. The decision was made then to funnel direct military aid from Russia to Spain and some day we shall discover if the same was done in the Cuban case. At the meeting the NKVD was entrusted with the task of overseeing arms shipments and dispatching personnel to Spain and “Alexander Orlov” (an alias) was appointed officer in charge. Orlov was to be the eminence grise charged with implementing in Spain many of repressive measures that his disciples were to apply to Cuba’s anarchists a little over 20 years down the line. By way of example it might be worth remembering one of the most sensational instances of Stalinist repression in Spain, the annihilation of the Workers’ Party for Marxist Unification (POUM). The POUM was a 60,000-strong party led by Andreu Nin, Trotsky’s one-time secretary in Moscow, and it espoused line a completely critical of Stalinism. In fact it was down to Nin’s influence over the Cuban communist Sandalio Junco that Trotskyism emerged in Cuba. And it was no mere coincidence that Junco would perish as another victim of Stalinism a decade after his mentor, under the gunfire from a gang that included Armando Acosta, among others. Acosta would go on to become Che’s assistant during his guerrilla raid on Las Villas and was later chairman of the so-called Revolutionary Defence Committees (CDRs). Back to Spain. Nin’s prestige led to his getting the portfolio of Justice in the Catalan government, for which Trotsky criticised the POUM. Even so, the POUM did not go over to the Stalinists but remained one of the few groups in the Spanish Republic (a few anarchist publications joined in) that dared to denounce the Moscow show-trials. The Spanish communists and their allies around the world launched a powerful anti-POUM campaign. Step one was to have Nin ousted from the Catalan government in December 1936. The culmination of the campaign was to have Nin arrested and ‘disappeared’. POUM leaders were charged with being fascists. denounced cases of Russian officials trying to operate without reference to the latter, it eventually turned into the communists’ very own political police. Let’s look at how the KGB file on Cuba was opened. We can ignore Salvador Diaz Verson’s claim that Castro was recruited back in 1948. In the mid-1950s the Soviet intelligence agencies had grave doubts about the chances of communist power in Latin America, given the huge US influence and even though they had a splendid pool of agents in the form of the communist parties which were the USSR’s real political arm there. The Communist Party might start or stop a revolution depending on whether it would suit or harm the Soviet Union’s interests in the region. The first person within the KGB to discover Castro’s potential as a servant of the USSR’s regional interests was the young Spanish-speaking KGB officer Nikolay Sergeyevitch Leonov, stationed in Mexico. Leonov had previously “made the acquaintance” of Raúl Castro in 1951 as a participant in the International Youth Festival in Vienna. That initial contact took place on board the ship carrying Fidel’s brother home from Europe. Thereby ushering in a story that would outdo even the most fantastic adventures of James Bond, except that the outcome is now the other way around, with the KGB roundly defeating the western intelligence agencies. and self-confessed Stalinists). Guevara was later to meet with Leonov in the Embassy and the Soviet cultural institutions in Mexico outfitted with the best Soviet literature (and propaganda materials). communist hijacking of the revolution. From being just one among the many at the time of the preparations for the Granma expedition,. Guevara was to achieve the highest office and would be the star pupil during the military training laid on for the Granma expeditionaries by Alberto Bayo, the prestigious Spanish republican army officer. As a guerrilla commander Guevara sponsored PSP cadres, including people with such outstanding Stalinist credentials as Carlos Rafael Rodriguez and Armando Acosta, his guerrilla adjutant. But Che and Raúl were not alone in having direct contacts with the KGB representative. Fidel too had approached the Soviet Embassy in search for military aid for his guerrilla efforts against Batista. Leonov began to meet with him regularly and offered him his full moral support. Leonov bore it in mind that Fidel had complete control over the 26 July Movement and that his brother Raúl and his confidant, Che, were by then regarded as fully-fledged Marxist-Leninists. boasted by any totalitarian society, — to wit, the Revolutionary Defence Committees — placed, as we mentioned, under the control of Armando Acosta, a man of proven commitment to the cause of Mother Russia. management of Miguel Angel Quévedo, was starting to build itself a continental reputation. Antonio Ortega can be numbered as one of the finest story tellers produced by Cuba at around this time which is why he was invited to help launch the Pen Club in Cuba. In 1954, Bohemia, where he was still working as news chief, had become the largest edition Spanish-language review in the world and the most widely circulated one in Latin America. That year the successful publishing imprint bought over the number two magazine, Carteles and Antonio Ortega was given the editorship of that. To show his distaste for the Batista regime Ortega refrained from participating in officially organised cultural events. Carteles celebrated the overthrow of the Batista regime. But disappointment soon followed as a communist regime was established in Cuba. The director of Bohemia (the review that had given such good publicity to Castro’s guerrilla war) suggested to Ortega that he leave Cuba in order to launch Bohemia Libre in Venezuela and once again Ortega went into exile to escape Cuban Stalinism. He died in Caracas in 1970, poor but free. Another similar case is that of Salvador Garcia who had had to flee into exile in Mexico (the very country where his countryman Alberto Bayo had trained Fidel Castro and his men) after the revolution. While virtually still a boy Salvador Garcia had joined the Libertarian Youth (Juventudes Libertarias). He served in the civil war right up until the loss of Catalonia. The bulk of his division wound up in a French concentration camp where he joined the maquis fighting the German occupation army. Later he moved to Cuba, having a Cuban wife and for many years he served as secretary of the CNT of Spain. Developments in Cuba forced him to flee to the Mexican Embassy in 1963. His testimony upon leaving Cuba represents one of the most damning critiques of the Castro regime from any Spanish anarchist. The magazine Reconstruir carried an interview with Salvador Garcia in which he gave a detailed account of how production was in the hands of a new administrative class, and how the web of the totalitarian state was being woven so that any complaint or demand was labelled counter-revolutionary; he described the high life of Soviet technicians, the destruction of the Cubans’ purchasing power (Cuba had once been a country with one of the highest standards of living), the loss of civil and trade union rights, the collapse of the sugar industry and so-called ‘volunteer’ work. Although he had not given up hope of liberation, he declared his fears on the basis that “it is not easy for a people to free itself by its own unaided efforts” and cited the case of Francoist Spain, still extant even though international fascism had been routed on the field of battle. Regrettably, Fidel Castro’s regime was to outdo Franco’s in terms of its duration and its curtailment of liberty. On the menu served up by the KGB, anarchism was surplus to requirements. With the establishment of Fidel’s absolute power in the country, the anarchists in Cuba could count on only one assurance: that their days on the island were numbered.